Schedule: Monday & Wednesday, 10 a.m.-12 noon; Friday, Noon-2p.m. 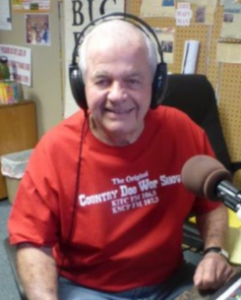 Ned Ward brings you yesterday’s Country favorites and the Classic Doo Wop hits of the 50s and 60s! Blending several “golden oldies” formats with a modern fast-paced, upbeat style, Ned Ward will make you want to grab your sweetheart and dance to your heart’s content! Ned’s CDW jukebox plays one-hit wonders, slow dances, toe-tappers and much more!